THIS COMPETITION IS NOW CLOSED. I’M DELIGHTED TO ANNOUNCE THE WINNER IS: Penelope Hannibal. SOLOVESVINTAGE WILL BE IN TOUCH TO ARRANGE DELIVERY OF YOUR PRIZE! Wow, this really is a fabulous giveaway this week. The lovely Sofia at SoLovesVintage is offering one We Heart Vintage reader the chance to win their choice of vintage jewellery from her store. How amazing is that? When you visit SoLovesVintage you enter a world of glamour, elegance and sophistication with a vintage vibe. Since launching in May 2009, SoLovesVintage has successfully established itself as the best online vintage shop in UK offering amazing pieces with impeccable packaging and excellent customer service. Their website is like a glossy magazine and you will find some fabulous vintage gems there. Any item of vintage jewellery from the SoLovesVintage website. Please note all items on the site are vintage and therefore only one of each item is available. If you win you will be able to select any item of jewellery available in the store at that time. For your chance to win this lovely brooch simply pop over to SoLovesVintage then come back and tell me your favourite item (it doesn’t have to be jewellery, it can be any item on their website) in the comment box below. 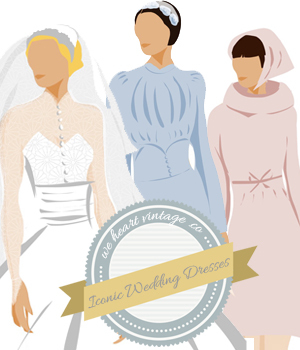 Follow @SOLOVESVINTAGE on twitter and tweet your favourite item from their store. Like SoLovesVintage on Facebook and post about your favourite item from their store. We’ll pick a winner after entries close on Monday 8th December 2014. The winner will be announced on this blog soon afterwards so don’t forget to check back or subscribe! We will pass the details of the winner onto SoLovesVintage to arrange delivery of the prize. The winner will be contacted about their prize, if they have not claimed their prize within 3 months of it being announced SoLovesVintage are under no obligation to still offer the prize. I am one of your French reader. Thanks to let us discover this online store ! I am in love with several items, like the Myrna bracelet and with the Anouska Cape ! Thanks a lot for the blog ! Liked SoLovesVintage on Facebook and posted about my favourite item from their store. Coats are one of my weaknesses, love the Helena coat! LUCIANA BROOCH IS FANTASTIC. MY WIFE WOULD LOVE IT. I love the Elettra bracelet! The Pilots Hat looks lovely-just the thing for this weather too. Commented/Followed via Twitter @ Emuchops. I love the marla fur coat! I adore the Liona hat, I would wear it all the time! Shame it’s Christmas I’d have bought it in the time writing this has taken otherwise! love the Delia croc clutch! Followed @SOLOVESVINTAGE on twitter and tweeted favourite item from their store. Have entered on FACEBOOK & TWITTER.